FXPremax Pleased to inform that all new and existing clients by offering the unbelievable $200 USD Additional Bonus from Deposit every 1000 USD. 200 USD Trading Bonus will be added to your trading account balance once you deposit your account with a minimum balance of 1000 USD. Start Trading With FXPremax Using Trading Bonus. 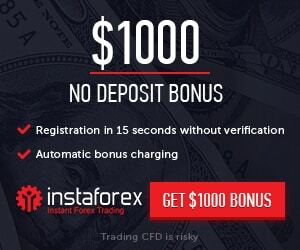 If you deposit 1000 USD you will be getting additional 200 USD Bonus. Promotion offer: 200% Special Trading Bonus Promotion.